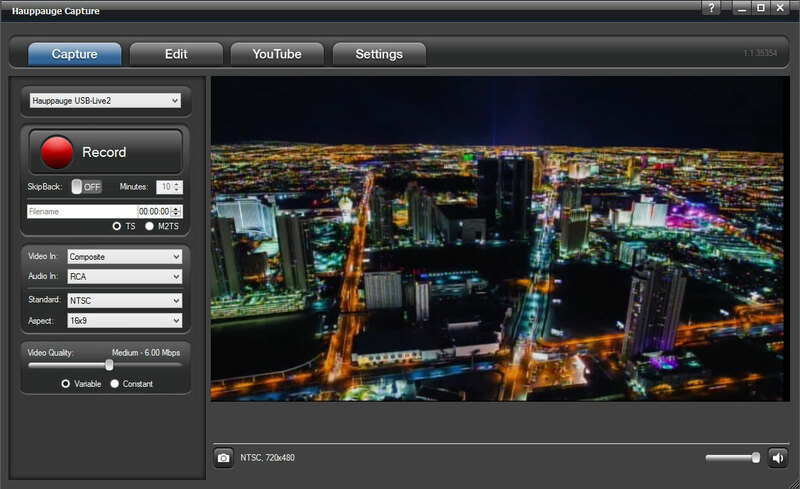 Watch, capture or record live video from your VCR, camcorder or industrial video camera! USB-Live2 connects to any S-Video or composite video source and brings the video into your PC over USB. Use USB-Live2 to convert your home video tapes into DVDs! USB-Live2 connects to any S-Video or composite video source and brings the video into your PC over USB. 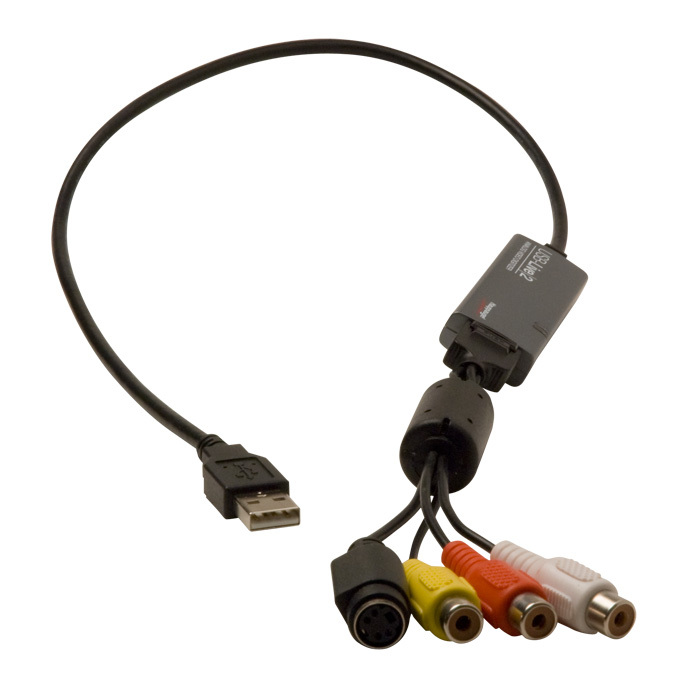 Plug the USB-Live2 into the USB port on your PC, plug the S-Video or composite video cables into your medical, industrial camera, VCR or analog video camera and you're ready to record analog video into your PC. USB-Live2 creates MPEG-2 video files, which can be burnt onto DVD or CD discs. Xsplit and the Adobe Media Encoder can receive video from USB-Live2 for live streaming or over the Internet. Add video clips to your web site: Creative webmasters can incorporate still frame highlights or motion video clips on their web sites! Use USB-Live2 for desktop publishing: With our WinTV SnapShot function, you can quickly save JPEG images from your video camera. 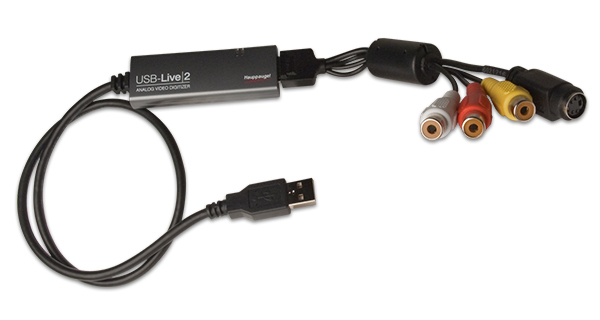 USB-Live2 is an external device which connects your VCR, camcorder or video camera to your PC or laptop. 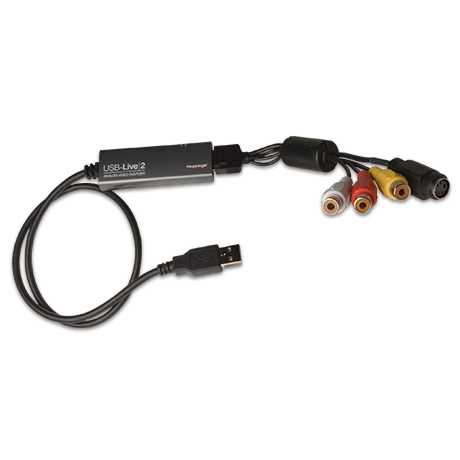 Plug the USB-Live2 into the USB port on your PC, plug the S-Video or composite video cables into your VCR or camcorder and you're ready to record your old video tapes to your PC. 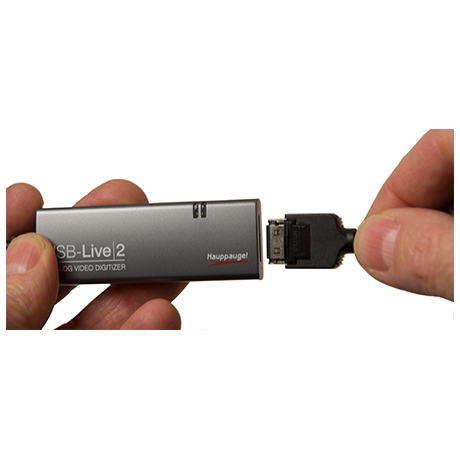 USB-Live2 digitizes video using high quality 4:2:2 video sampling at up to 720p for the best analog video quality. USB-Live2 has analog video recording plus live video preview Use USB-Live2 to record your home video tapes, and to archive them on a DVD disk (disk burning software is not included). USB-Live2 can be used in medical and industrial applications: connect to cameras and other instruments to record still or motion videos. 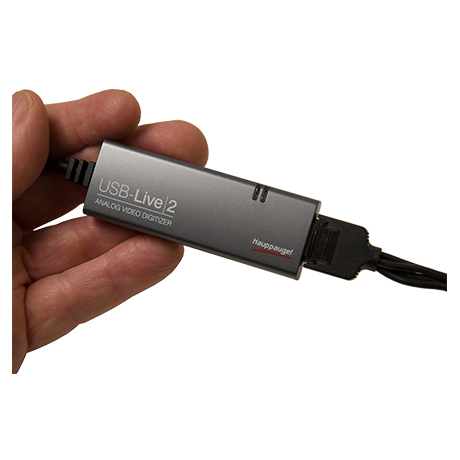 USB-Live2 has both Windows and Linux drivers. We also can provide a Windows API so you can develop your own video capture or video monitoring application. Leave the USB-Live 2 cables connected to your A/V source while moving the USB-Live2 to a different computer. The A/V cable set attaches to USB-Live2 with a secure latching connector. 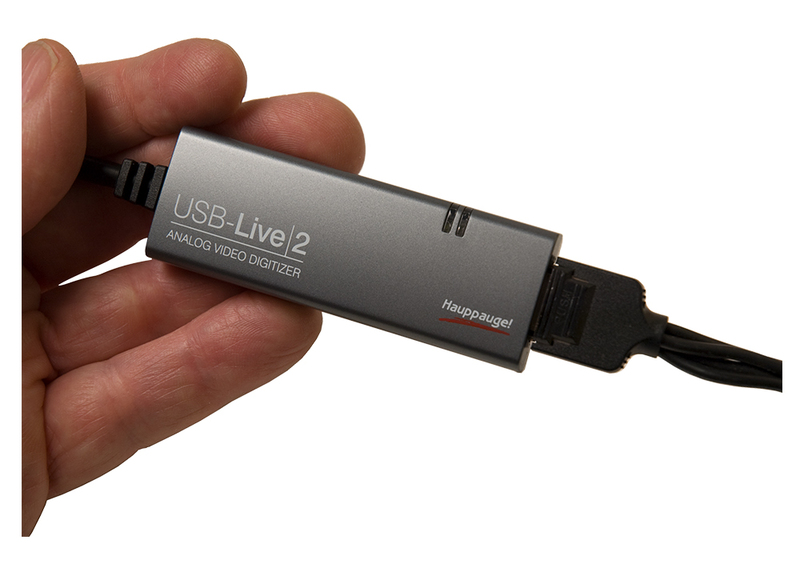 USB-Live2 supports video up to 720p (NTSC sources) with S-Video, composite video and stereo audio. Additional removable A/V cables are available from the Hauppauge webstore. Hauppauge Capture is the all-in-one recording, trimming and uploading app. Hauppauge Capture gives you timed recording, YouTube upload and stream (YouTube Live streaming and Twitch). Hauppauge Capture and WinTV v8 are compatible with Windows 10, 8.1, 8 and Windows 7 (all versions). Video digitizer: 720x480 for NTSC, 720x576 for PAL video sources. Video source: S-Video or composite video. Audio input: left and right audio. 2.8 GHz Intel® P4 or equivalent for recording in MPEG-2.